So there's one thing I didn't mention much about my trip to China this year, the peony seeds I purchased! I got a few here and a few there. 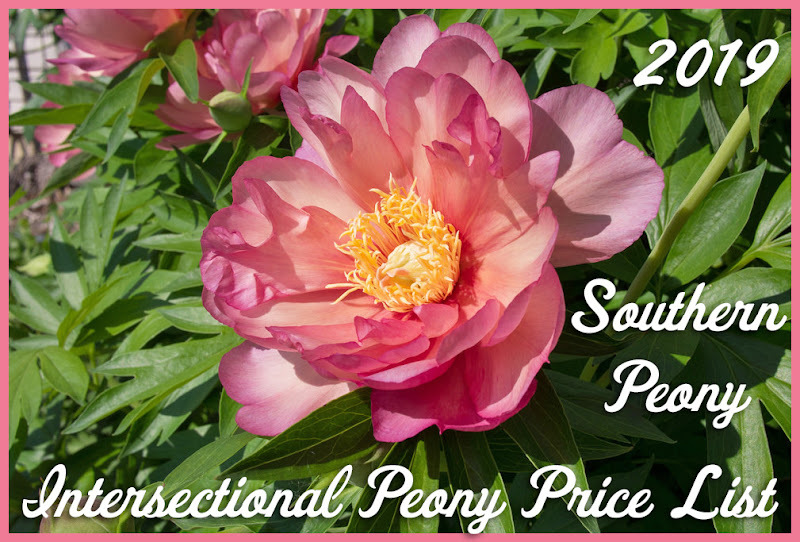 Most of the seeds I purchased were just outside the garden gates during my 2018 Southern Peony Visits Luoyang National Peony Garden 洛阳国家牡丹园 (North). The seeds in the tiny plastic zip bags are the ones that came from the Luoyang National Peony Garden. You can see the table they had set up to sell the seeds below. I felt a bit skeptical as to whether these tree peony seeds actually came from the varieties pictured in the packets, but for 1 yuan (17 cents) for 10 packets, how can you go wrong? So I bought two different sets of them. My guess is they may be all the same variety, maybe even herbaceous or p. ostii. Who knows? I must say I am very curious, though to find out. Of course, it will probably take me five years or more to see any blooms from these. The photo above it the woman who sold me the seeds. She told my husband (in Chinese) that she and her husband have their own peony farm. I have no idea if it is true, but it sounds neat. They were also selling several varieties of potted tree (and herbaceous) peonies in full bloom as well. I wish I could have purchased a few of those tree peonies to bring back home! They also showed us how to sprout the tree peony seeds. They just used a plastic water bottle with and inch or inch and a half of water in it. I'm not sure if they put the seeds in the fridge to get them to sprout their roots first or just sprouted both the roots and the leaves in the bottle. That was certainly wild. I wish I could have found out more about how they did it. Maybe I will try a few of my seeds that way just to see what happens. I usually don't have much luck sprouting seeds that aren't in the dirt. I guess I just haven't tried or practiced it enough. I usually end up with mold of some sort. Here are a few more close up photos of the seeds I purchased (front and back of the packaging). You can click any of these photos to see a larger version. I don't know what any of them say. I guess I need to enlist my husband to help me translate them. I just can't decide if it is worth the time and effort to do so. The last time I had him take the time to meticulously translate each and every variety (and make a separate label for each), 2013 Ali Express Chinese Tree Peony Seeds, none of them sprouted!!! 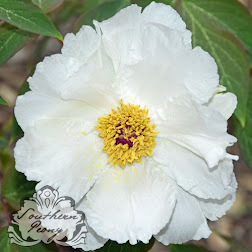 (I've placed more than one order for Chinese tree peony seeds in the past, and the other one from Ebay did sprout, 2013 Chinese Peony Seeds from Ebay , 2014 Chinese Tree Peony Seeds Starting to Sprout.) So who knows what these tree peony seeds will do, if they even sprout (I hope so! ), or what color they will be, but I am definitely interested to find out!